1. How much work is done by F? 2. How much work is done by the normal force? 3. How much work is done by gravity? a) Since the gravitational force is perpendicular to the floor, the θ = 90, and cosθ = 0. 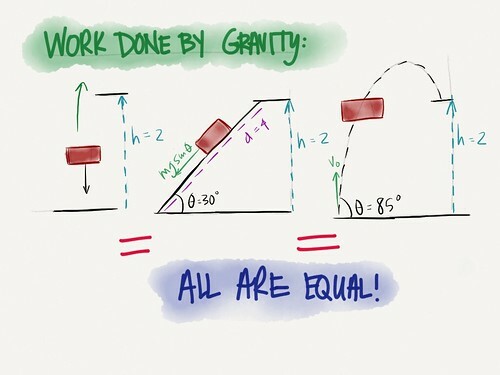 Therefore, work done by gravity is 0. 4. How much work is done by the force of friction? 5. What is the total work done on the crate? Energy in objects that are moving and can exert a force; kinetic energy is the energy an object has after a force has been applied; the KE can perform work → KE units are the same as work!! 1. 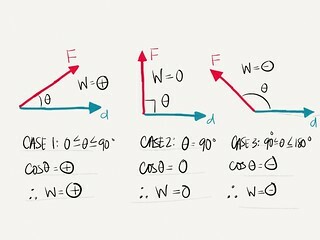 Above, we assumed that v0 = 0; what if it was not? A. Gravitational → if a brick is lifted and placed on a shelf, how much did its potential energy change? b) Work depends only on the initial and final positions, not the pathway! 1. Conservation of momentum applies to collisions; total kinetic energy, not necessarily!